Mumbai April 17 (IANS) Veteran actor Anupam Kher will receive the Master Deenanath Mangeshkar Award. 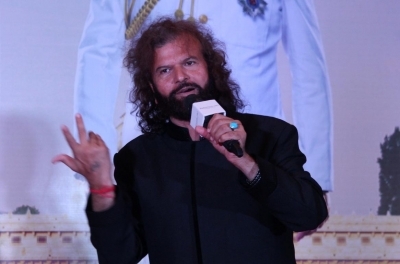 He has thanked legendary singer Lata Mangeshkar and says a phone call from her was an award for him in itself. "Thank you Lata Mangeshkarji for finding me worthy of the Master Deenanath Mangeshkar Award. Your phone call in itself was an award for me. It will be my great honour to be on stage with the other winners. Especially legendary Asha Bhosleji and Amjad Ali Khan Saab. 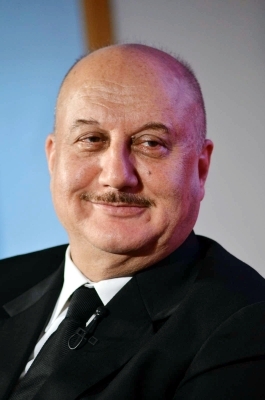 Humbled " Anupam tweeted on Tuesday. Singer Asha Bhosle sarod exponent Amjad Ali Khan and actor Anupam will be awarded on April 24 for their contribution in their respective fields.